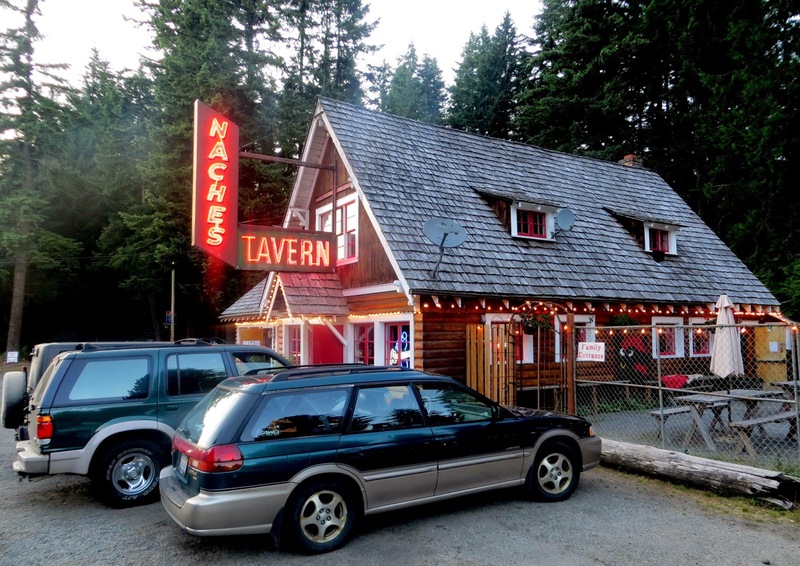 The Naches Tavern is said to have been built in 1919 and appears to have begun under that name during prohibition. 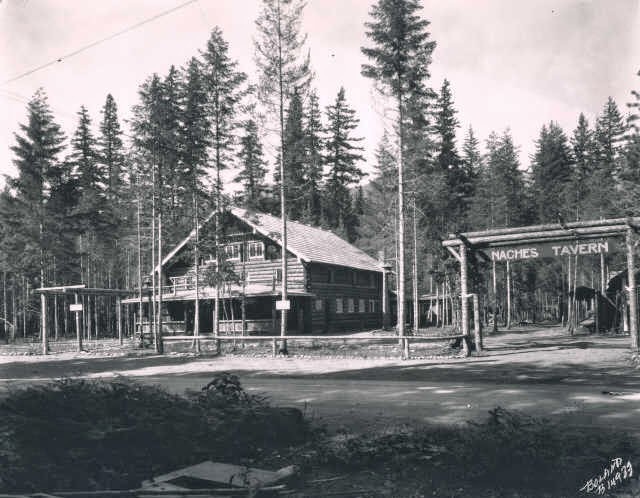 A photo below is dated June 1926, and features what may be the current building, though substantially remodeled. 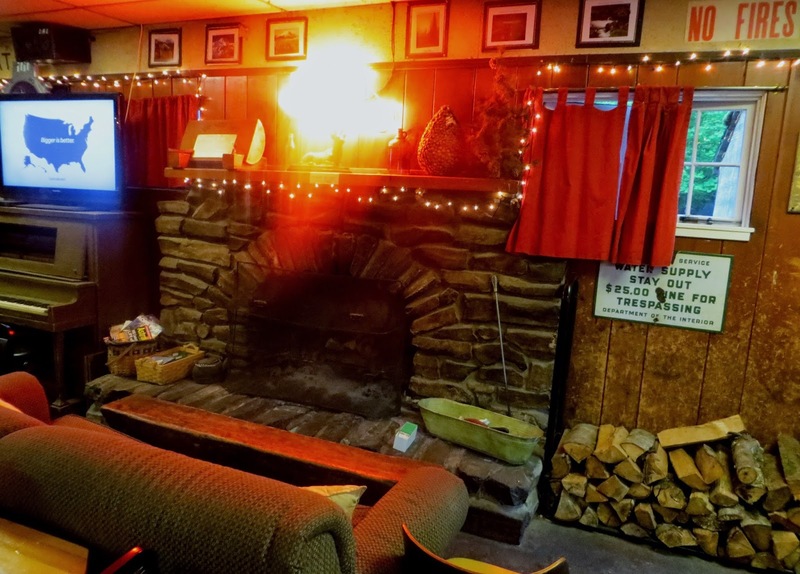 The tavern is in the unincorporated community of Greenwater, which has a population of a little over 200, although you would never guess that many from the few mossy residences you can see from the road. 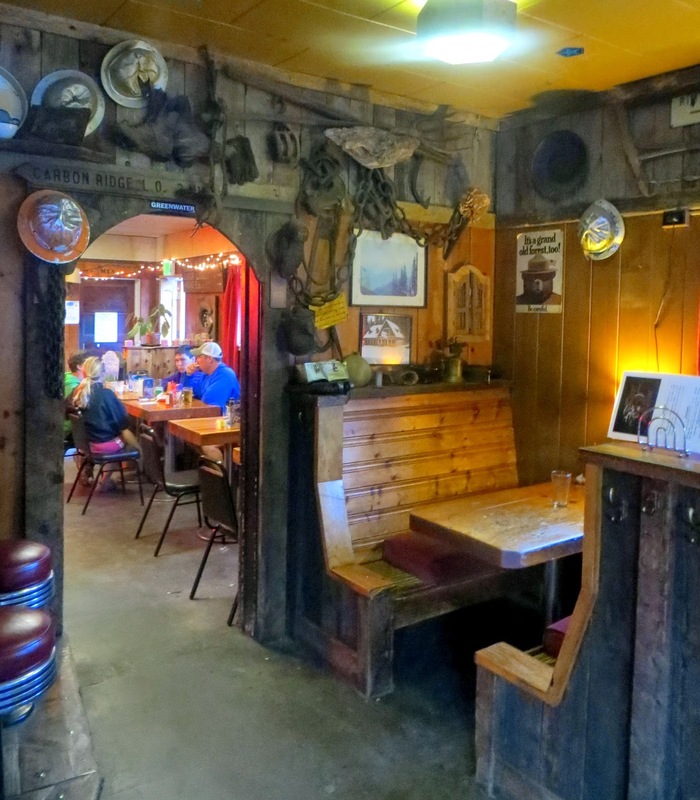 It is pretty much the perfect mountain tavern, its log-cabin based structure entreating you from the road into the woody interior, with a large stone fireplace and various relics donated by locals collected on the walls. 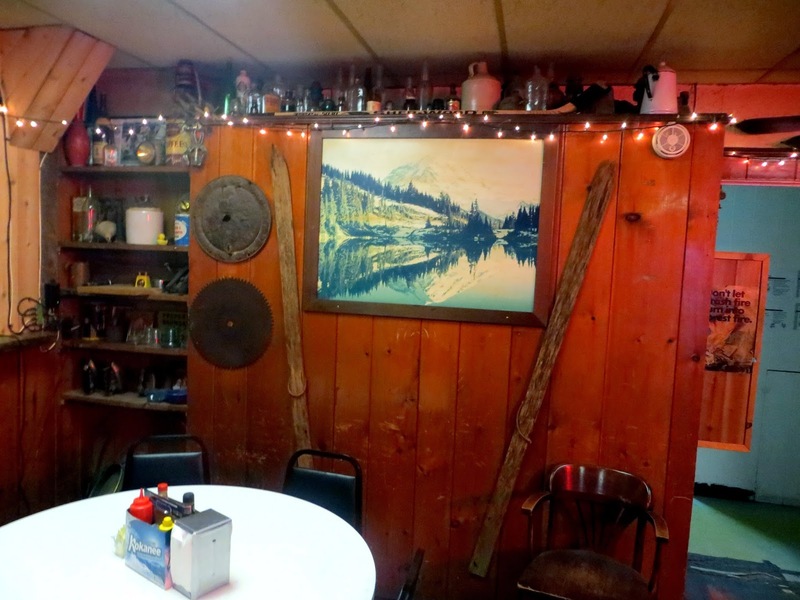 It sits at the eastern base of Chinook Pass, north of Mount Rainier, at the confluence of the Greenwater and White rivers, and welcomes a convivial mix of locals, snow boarders from Crystal Mountain, bikers, hikers and various roadtrippers. 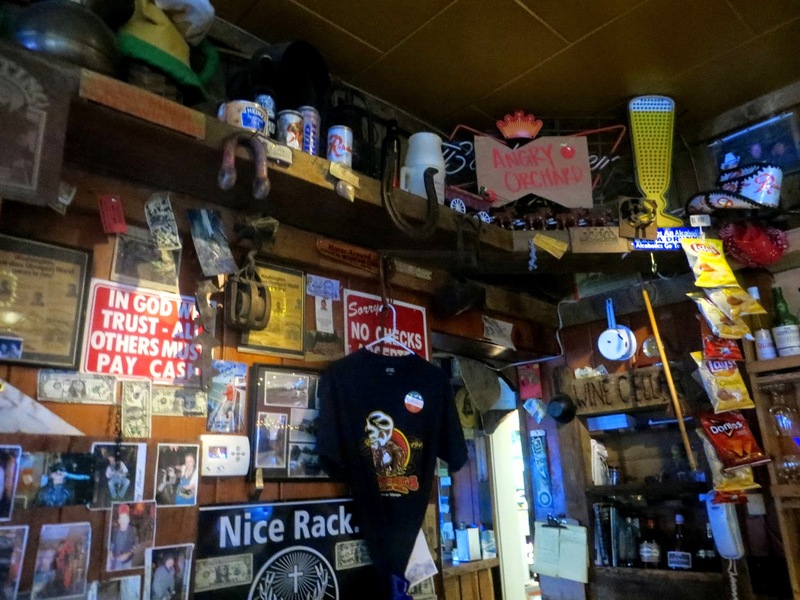 The food is pretty standard bar fare, and the drinks are dive bar standards. It is said that the entire town gathers there on Christmas for a communal party.